It is well-known that elves have a bond with nature. 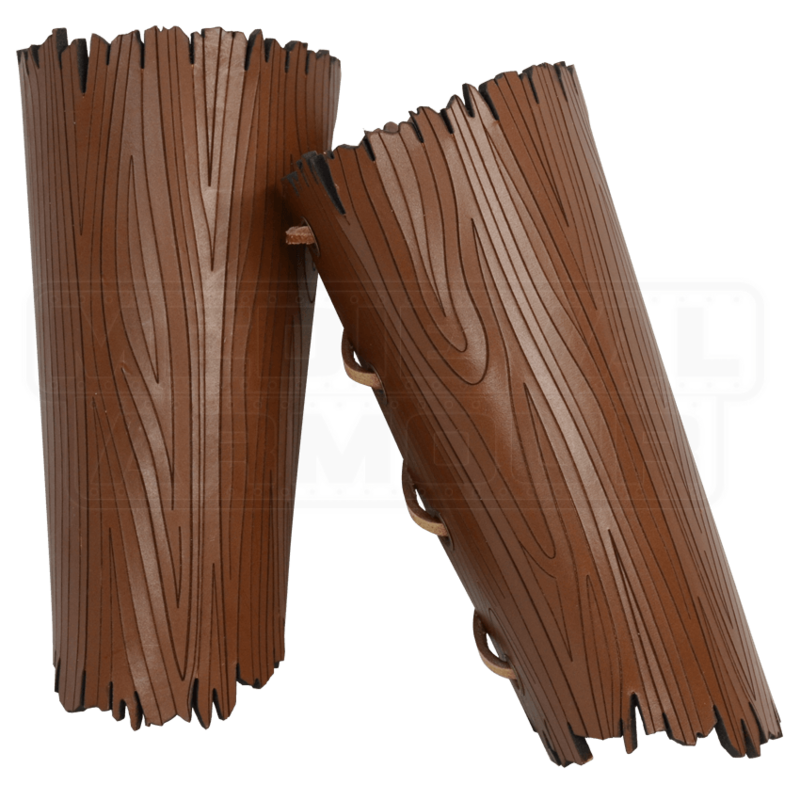 Representing that bond is a new sort of protection - the Woodland Arm Bracers are made in leather but stylized to look as if they were made from the very bark off the trees. These handsome bracers are made entirely in 7/8 leather, and fastened about the arm with lacers and leather lacing. The bracer itself is made to resemble bark, allowing you to defend yourself with natures own armor. The bracers are sold as a pair. 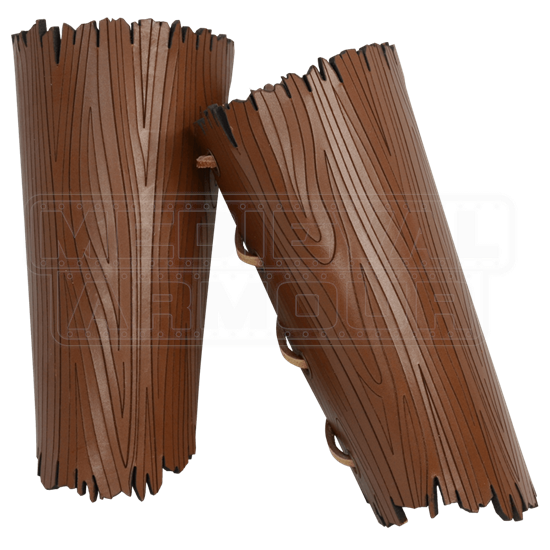 For that natural appeal and look to your appearance, look to these Woodland Arm Bracers for the right combination of look and function.